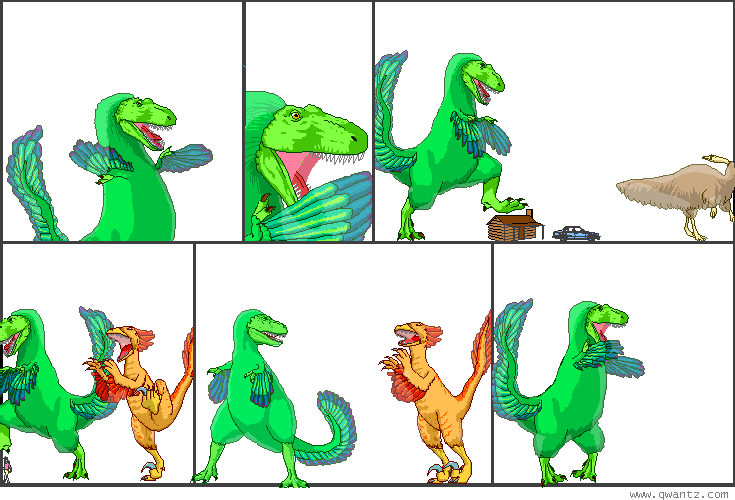 Dinosaur Comics - September 23rd, 2008 - awesome fun times! September 23rd, 2008: Man I keep forgetting to link to the guest comic I did for Thinkin' Lincoln! BUT NOT ANYMORE!! I will be at Word on the Street this Sunday in Toronto! I'm on a panel talkin' about comics with all these other awesome Canadian comics people like Joey Comeau and Emily Horne and Kate Beaton and Matt Forsythe and Andy Belanger and Claudia Davila and even though I haven't met those last two they seem awful nice. It's Sunday at 5 pm and you should come! Word on the Street is this great, free, literary festival and I can assure you: there are books and authors a'plenty. One year ago today: what have you done for me lately?